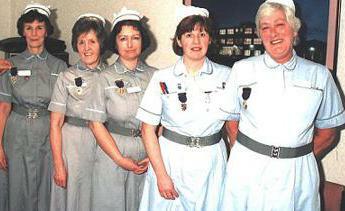 Pictures from nurses working in the private sector in the United Kingdom. 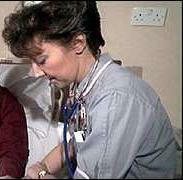 Some abbreviations: BNA (British Nursing Association) and BUPA (British United Provident Association). 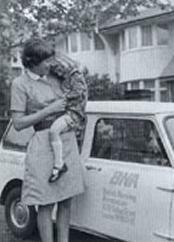 A British Nursing Association (BNA) Nurse. UK 1960s. 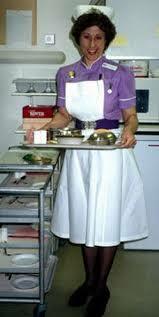 Two 1988 pics from Mary, showing a Private Sector nurse and the plain version of the National. BUPA Sister from the late 80s. 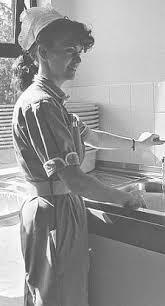 Apart from the bow tie, which I think was an optional extra, this uniform is more or less the same as the one BUPA nurses wear today. From Dr.Phil'. UK 1990. 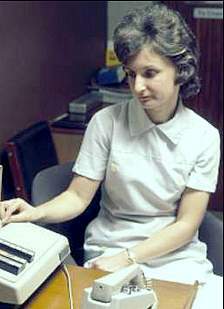 Private Sector Nurse, 1990s. From Sarah. 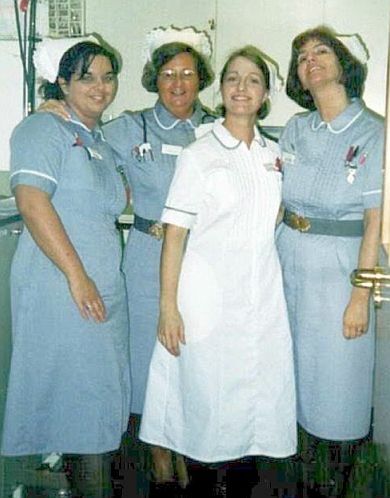 Private sector nurse, UK 1990s. Proof that uniform standards are still being upheld in the Private Sector. Scotland, mid-90s. 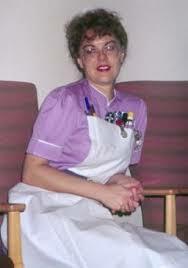 A BNA Nurse modelling the new uniform. UK 1999. BUPA Nurse, from Graeme. UK 2000. 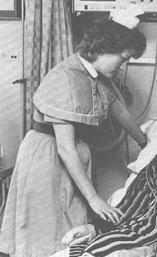 BUPA Nurse wearing the current uniform. UK 2000. 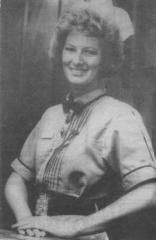 Private Sector Nurse, from Paul.